Payment: PayPal, card, BACS or Cheques. 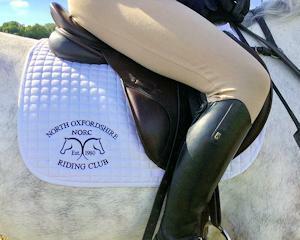 Membership of the North Oxfordshire Riding Club has grown over the years and continues to go from strength to strength. The Club offers a varied programme throughout the year, including training clinics in flat work, cross country and show jumping by a variety of qualified instructors, an annual camp over a long weekend which includes training each day in all three disciplines, a Dressage League that runs monthly from March to November, an Annual Show in August and social events which include pub rides, fun rides, BBQs and meals out. We welcome riders of all abilities from novice through to advanced, members are encouraged to compete in a NORC Team or attend our numerous clinics and training sessions.